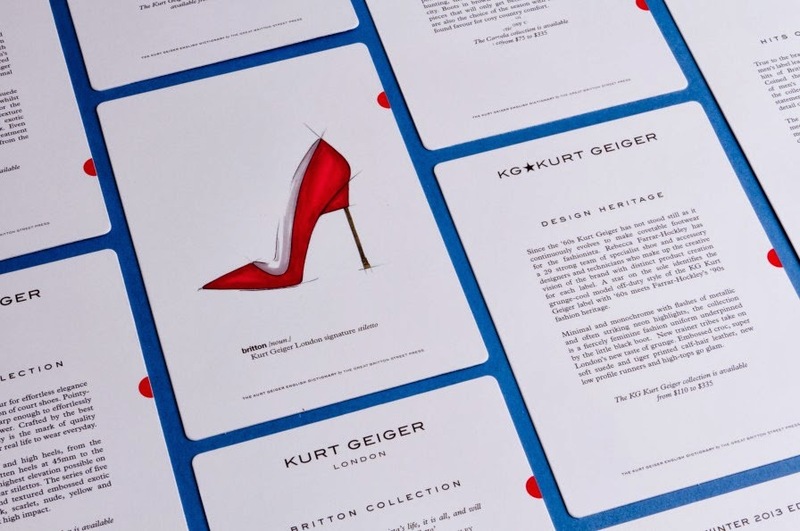 I came across the Foundry design studio whilst looking for existing fashion branding and identities and their products, range and distribution to gain further knowledge and background information on designing for a luxury brand. 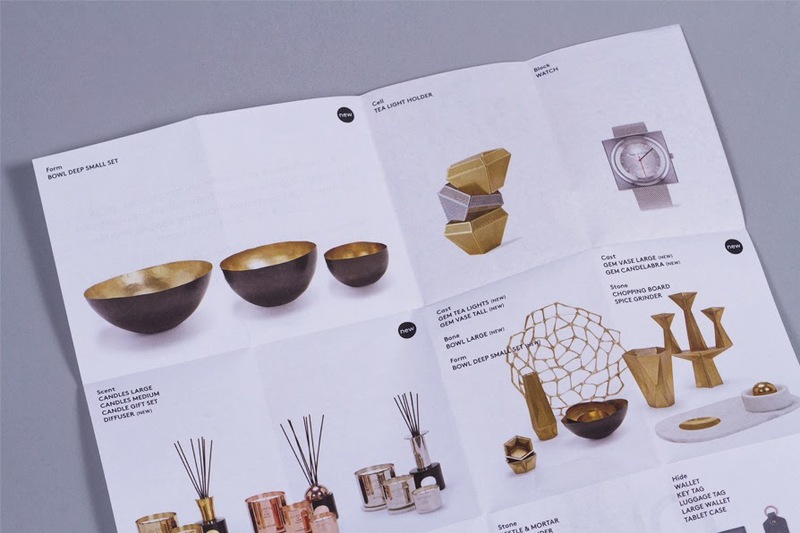 Below shows a range of their work showcasing luxury, high end brands. 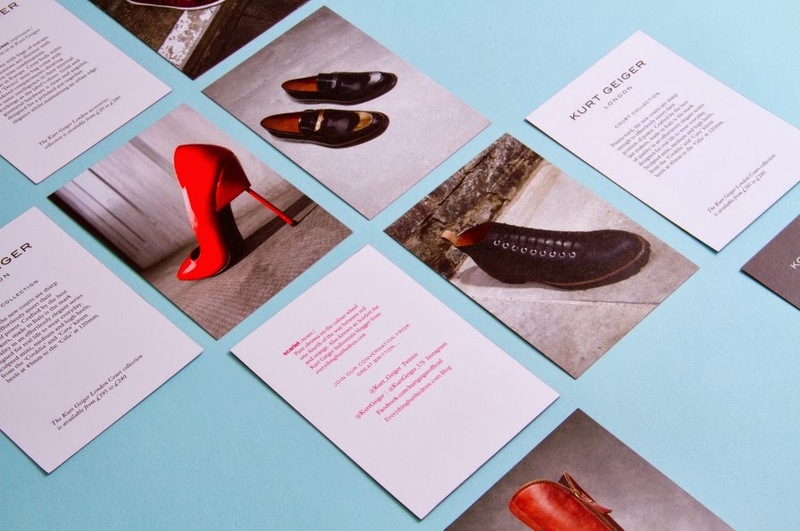 "Foundry is an independent design and branding agency based in east London. 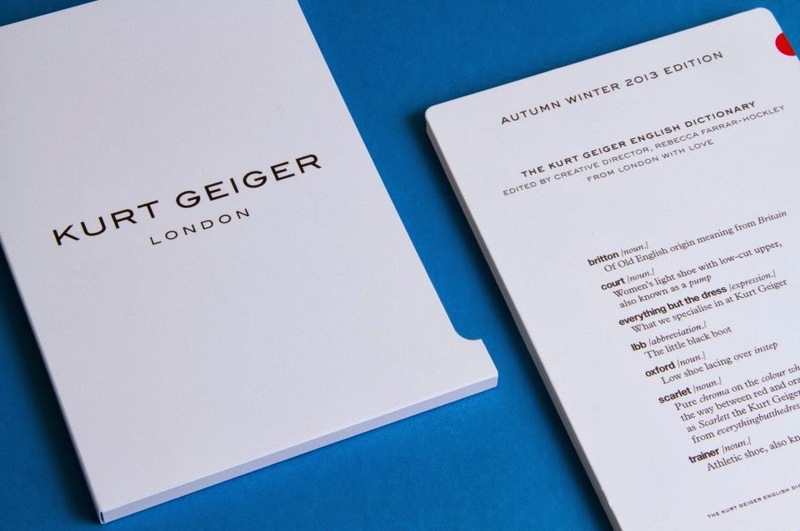 We work across a range of disciplines including print and digital design, photography, illustration, copywriting, wayfinding and exhibition graphics. Our studio practice is shaped by a diverse skill set and inter-disciplinary approach. A deliberately small and personalised studio, we work with multinational companies, independent brands and individuals." 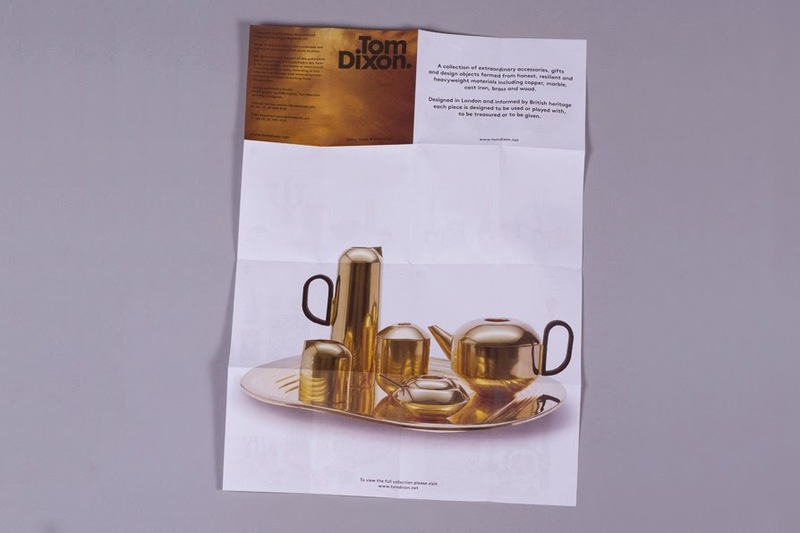 "With a rapidly expanding accessories collection, British furniture and lighting brand Tom Dixon needed a mini-catalogue that highlighted an edited selection of their quirky and eclectic objects. 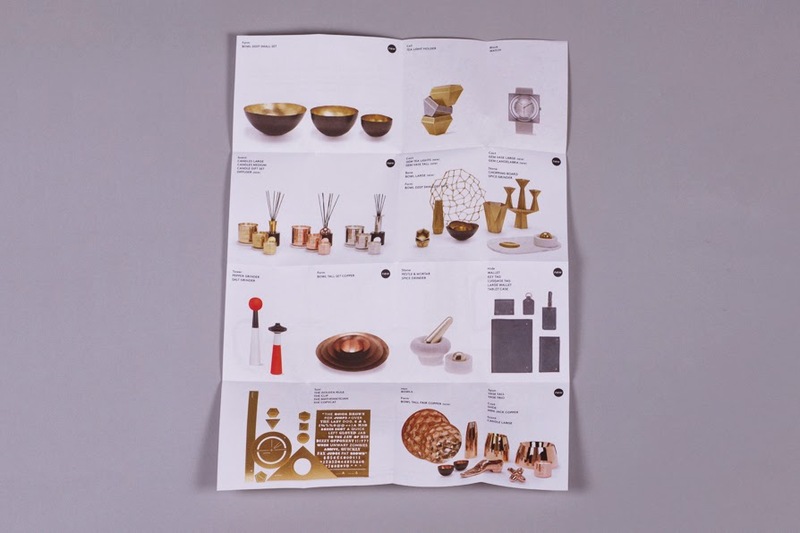 Taking inspiration from a collector’s cabinet of curiosities, the A7 brochure featured a clean horizontal layout and was compact enough to fit inside all packaging." 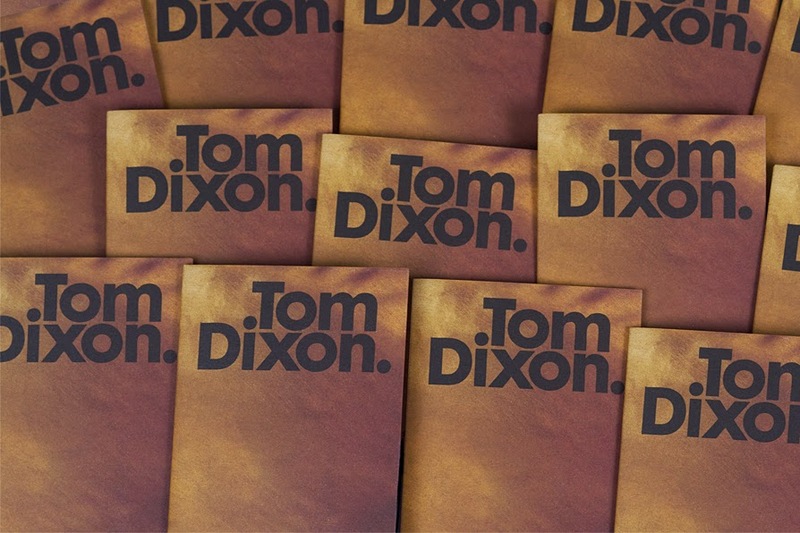 I really like the gridded layout and format of the booklet/fold out poster. The concept is unusual and allows the products to be placed in grid systems relative to size and placement of the folds. A complex design with a simple, luxurious aesthetic finish. 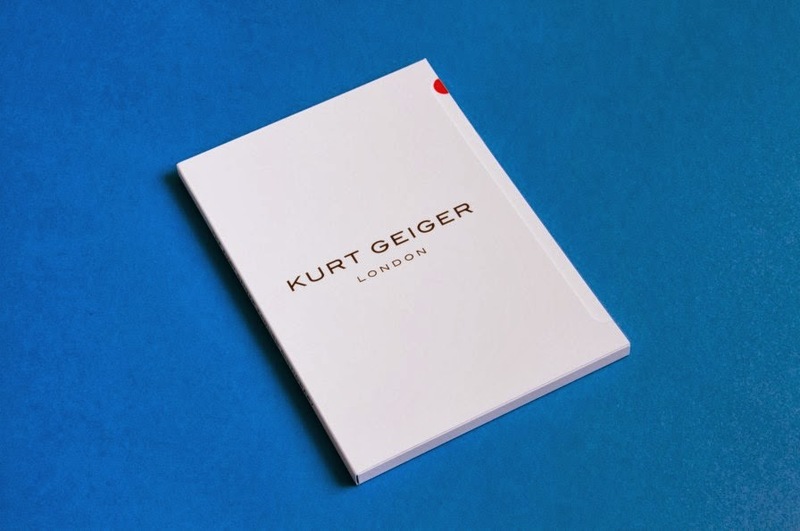 "Continuing the dictionary theme established by their launch press material, we created a look book to accompany the new Kurt Geiger US press website, where journalists and members of the press can log in to access collections, information and images. 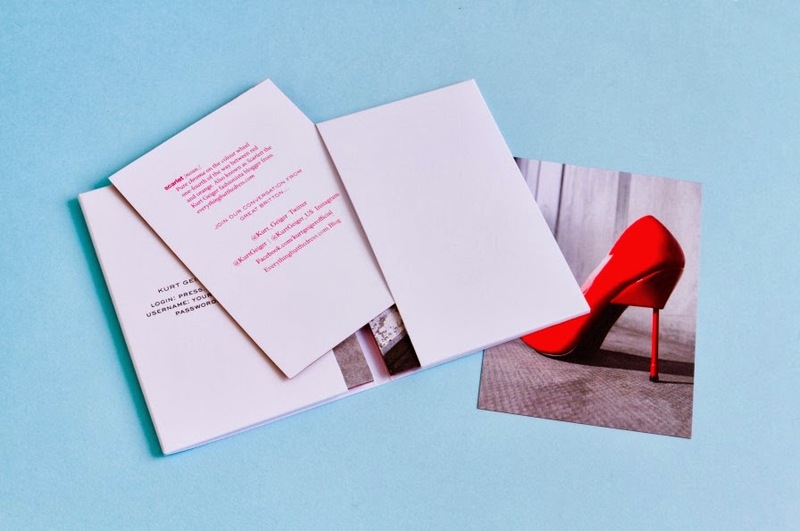 A pack of eight A6 cards showcasing the A/W 13 season’s hero shoes, were folded within a sleek white folder with black embossed glossy detail." 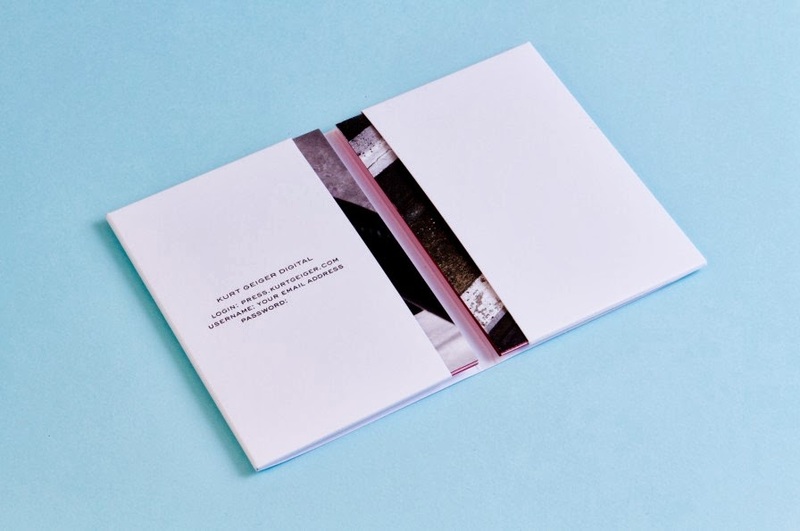 I really love the format and structure of the booklet which holds the A6 postcards. 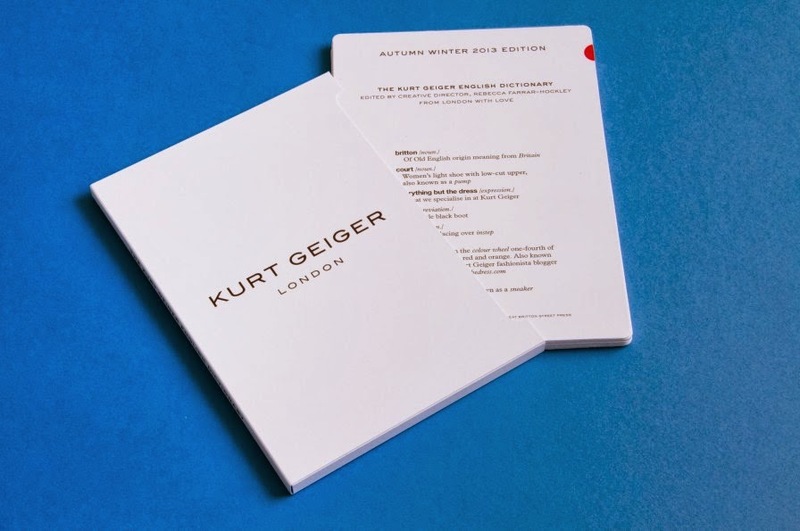 The target audience being the press and the fashion industry adds extra pressure to deliver a high-end luxury finish which has been achieved through print finishes, colour, format and functionality. 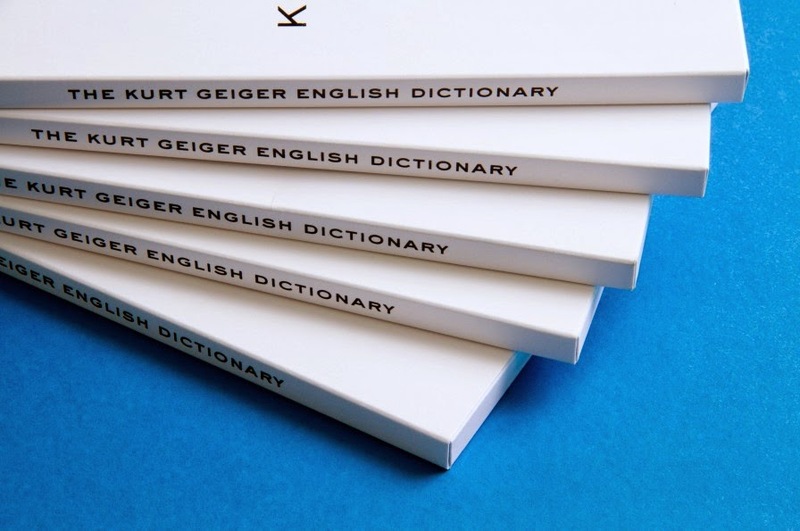 "For their launch in the US, we gave the classic English dictionary a Kurt Geiger spin, playing on the linguistic differences in footwear in the UK and the US. 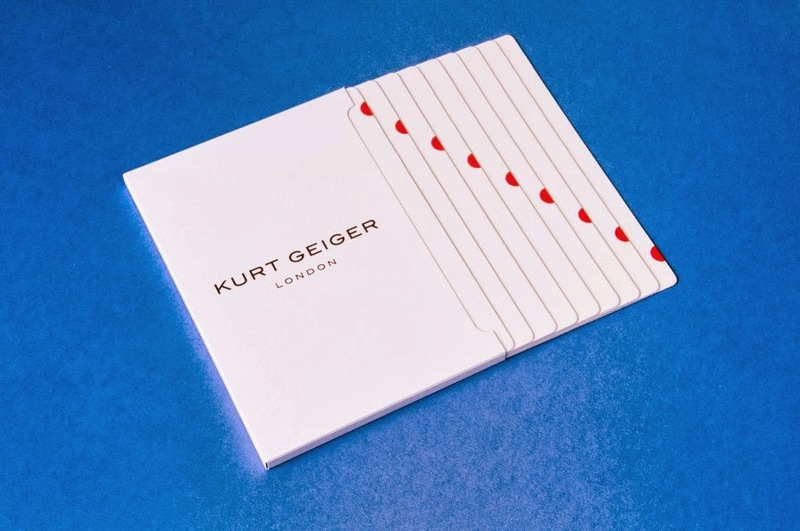 A pack of crisp white cards – complete with glossy scarlet thumb tabs – outlining the Kurt Geiger brand family were sent out to the US press, neatly encased in a white paper folder." 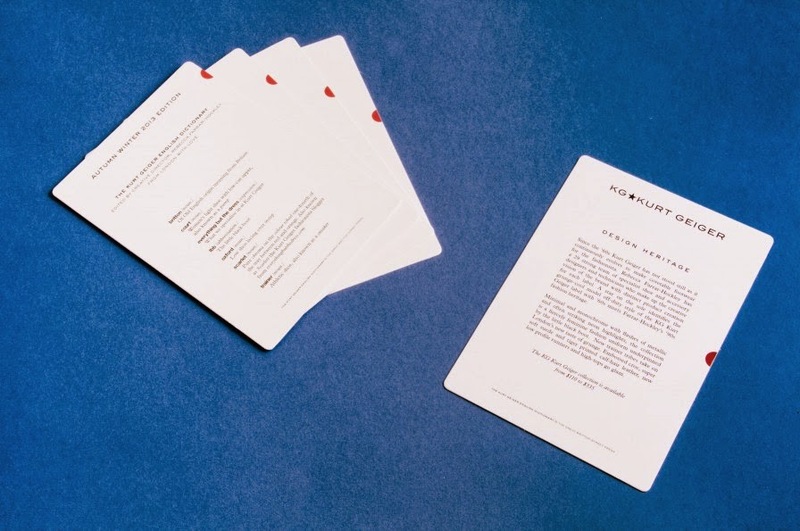 The concept and look book shown above are reminiscent of flash cards, which have been very carefully executed. 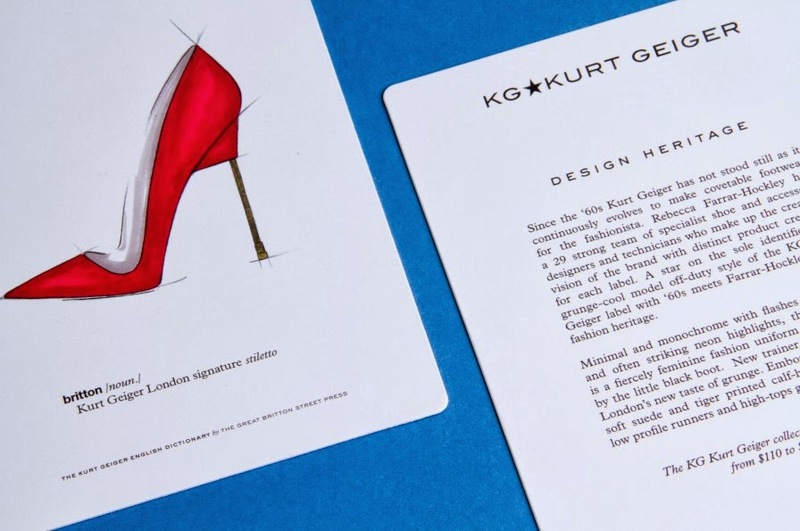 The tabs and coloured spots allow easy use and storage of the cards. 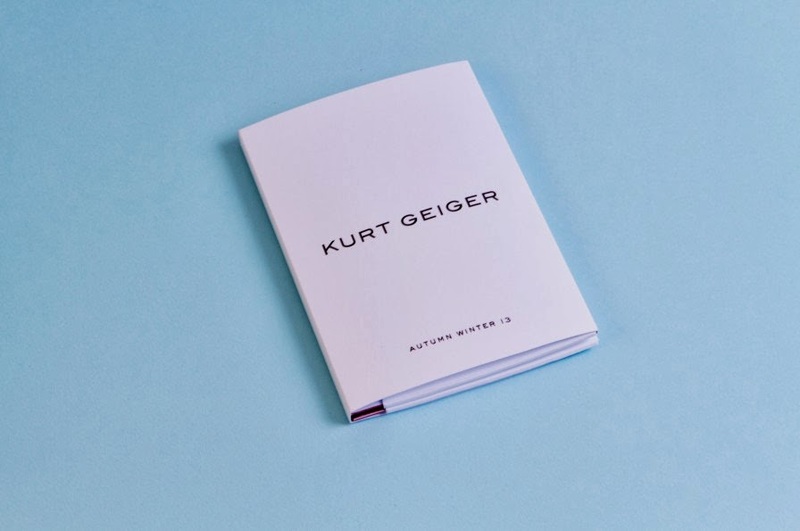 A different and unique approach to a look book which is visually exciting and stimulating using illustrations opposed to photographs. 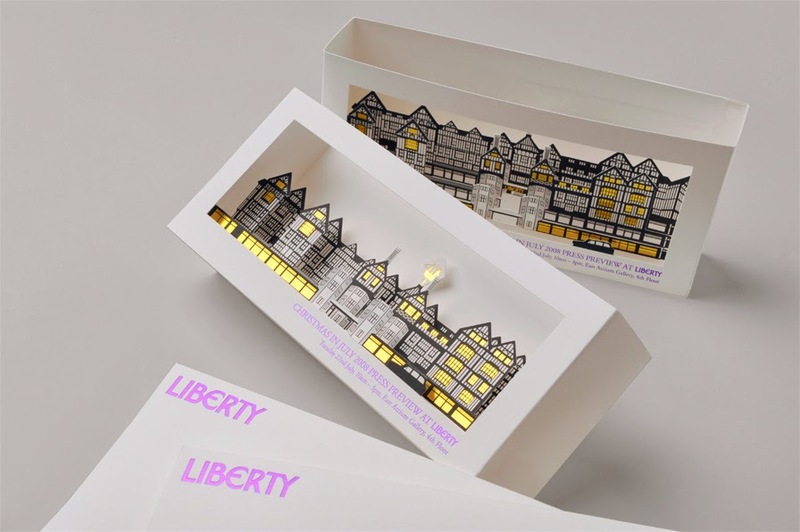 "Putting Liberty’s iconic building centre stage, this press invite for the store’s ‘Christmas in July’ pre-season Christmas press event brings the Arts & Crafts exterior to life by rendering it in die-cut hand-assembled layers, highlighted with foiled detail. Posted flat, the invite ‘pops-up’ when opened. 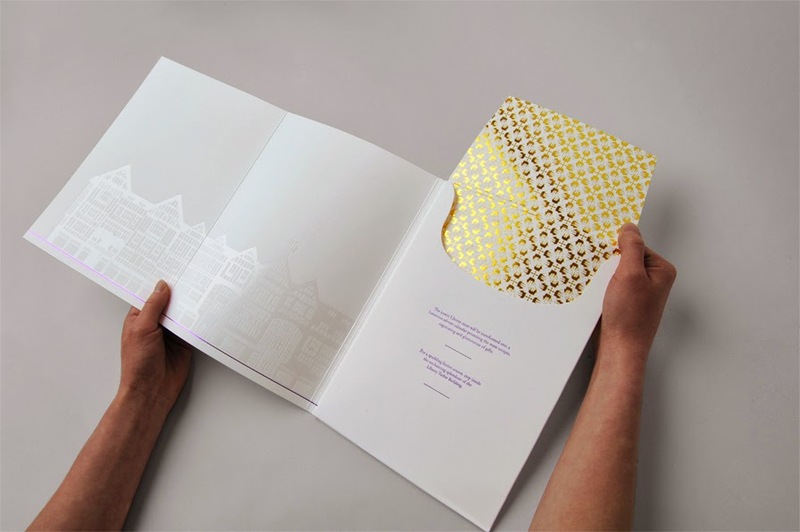 Gold foil provides a festive touch, while a touch of purple foiling picks out the details and adds an unseasonal twist." 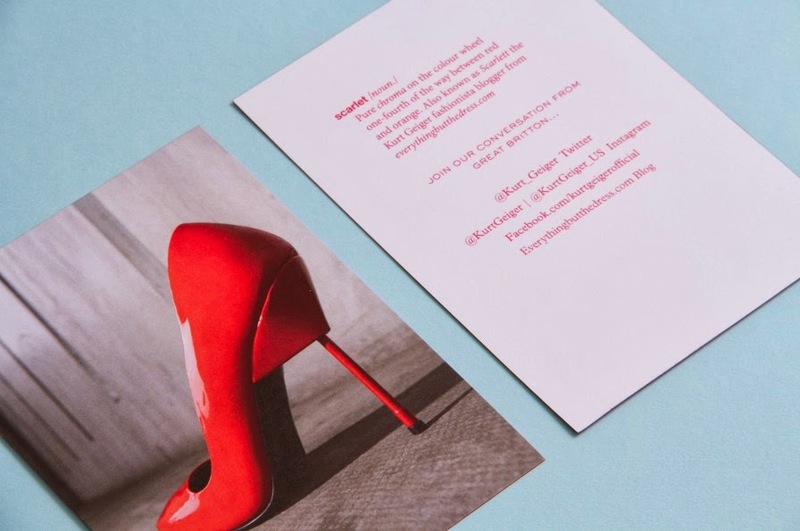 The images below show invitations which have been die-cut, printed and finished with foil. 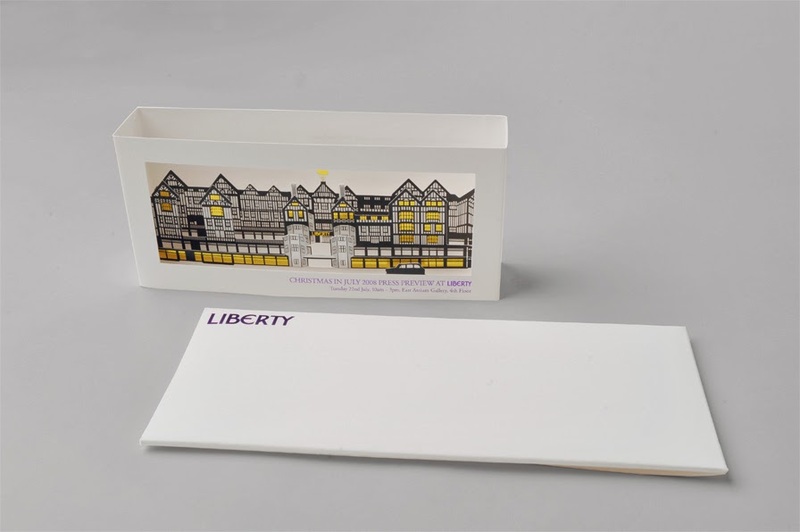 The design is explained in detail above, with reasoning, however I feel the overall design and outcome is feminine, elegant, smart and appropriate for the Liberty store, products and brand guidelines. "Bridging Print and Digital - The Times Magazine"